Jodie is constantly looking to take on more rides at all levels, so if you would like to become an owner get in touch with Jodie to discuss your requirements. She has a passion and love for her horses, a wealth of experience producing young horses to top level and the most incredible facilities in the country to do so! This is a way of becoming more directly involved in Jodie’s success by purchasing eventers to complement her team. Joining a syndicate is a fantastic opportunity to purchase a horse at a sensible price, share the costs amongst a group of keen supporters of the sport and still enjoy all the benefits of ownership. Get in touch with Jodie to take a look at a basic syndicate agreement and discuss how this might appeal to you. 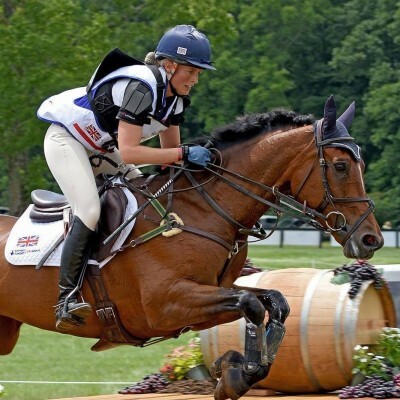 Sponsoring a rider of Jodie’s calibre associates your company with one of the most prestigious sports at some of the most popular events in the world. Backing a talented, inspiring young British Sportswoman has clear promotional benefits. Her professional image as a hard-working, ambitious competitor makes her an ideal ambassador for your company. Jodie’s career has already received coverage in local and national press. Sponsors can expect to benefit from more media attention through Jodie’s success with their brand being portrayed all over the country, throughout the year, targeting an affluent audience in a very high exposure sport. Badminton for example has the highest number of spectators on a single day for any european sporting event with over 180 000 viewers. Now lottery funded as part of the World Class Development Squad, Jodie is directly associated with the Elite Team GB and has every intention of grasping this opportunity and fulfilling her Olympic ambitions. Jodie’s highly professional and passionate team offer sponsorship packages tailored to fit your needs: you will be given the opportunity to advertise your company brand on Jodie’s custom built Whittaker Horsebox; your company name and logo will also feature on both horse and rider clothing and equipment throughout the year; and finally, you will be offered individual corporate hospitality at major events around the UK and abroad..
Head Girl position available for 2017! Head girl needed to run event yard at Aston-le-Walls, Northants Horses from 4yo to CCI****. Experience, work ethic and attention to detail are second to none. A passionate and committed horse lover who's care and well being of the horses is of primary concern. Incredibly high standards of turn out whilst grooming at all the top events all year round - Badminton, Luhmuehlen, Burghley, Blenheim are all on the cards for next season! Must be someone open and friendly with good communication skills able to work within a team but equally taking overall responsibility. Organised, methodical, OCD not a necessity but preferable! HGV required if possible.